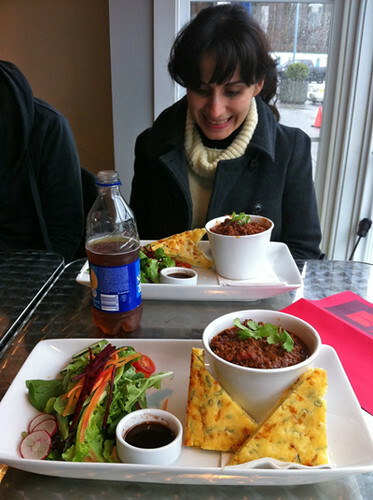 Yesterday at lunch we tested the rumour that you can walk into the North Shore Studios and eat at their café. 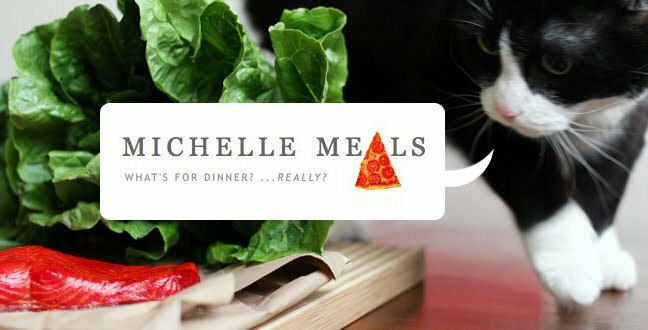 This turned out to be true, and resulted in me eating chili leftovers for dinner. This was not enough, so I also ate a peanut butter and strawberry jam sandwich. And then I made some Floating Islands. 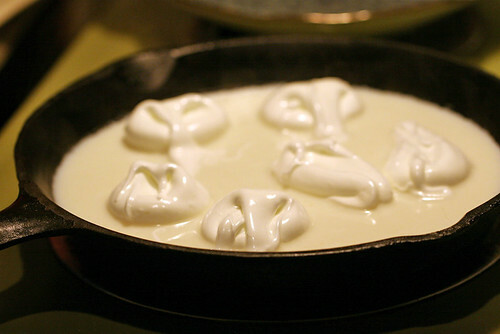 Here we see the meringues poaching in some milk, water and vanilla essence. 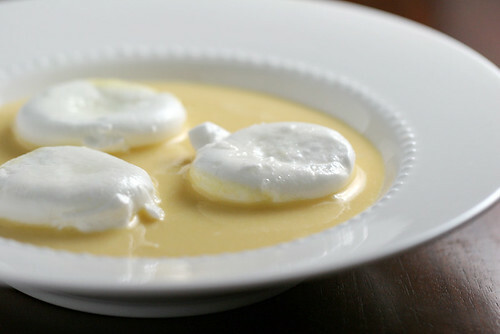 The meringues are set aside and then the poaching liquid is combined with some egg yolks which have been whisked with sugar to a pale yellow. The crème Anglaise is then heated on the stovetop just enough to coat the back of the spoon and not so much as to make scrambled eggs. You are supposed to cool the crème Anglaise completely before serving but in my haste I wound up eating it lukewarm. I don't recommend this.